Dr. Do Nguyen is a native Memphian and attended White Station High School. He completed his undergraduate studies at Brown University in Providence, RI where he was the recipient of the Brown University Endowed Scholarship. 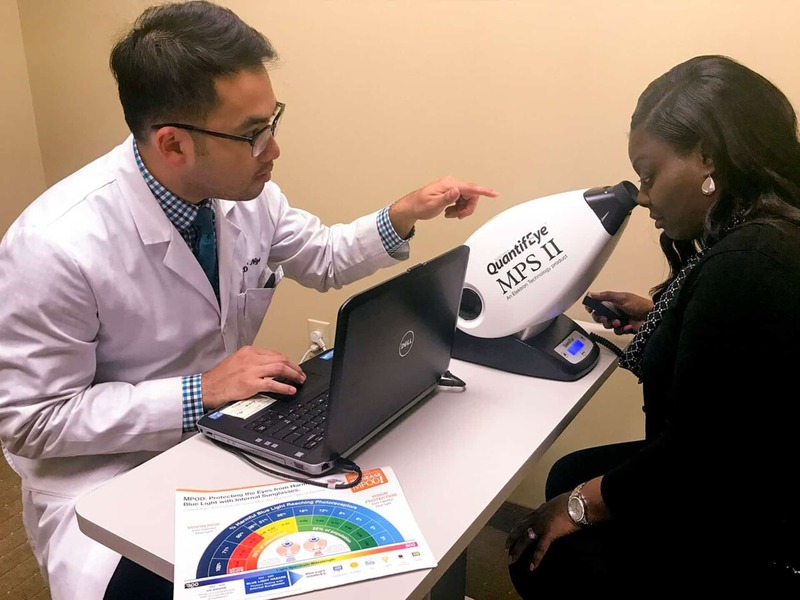 Dr. Nguyen decided to return home upon graduation and obtained his 4-year post graduate doctoral degree from Southern College of Optometry in Memphis, TN. Dr. Nguyen is licensed as a Medical Optometrist in Tennessee and Licensed in Therapeutics and Injections. He is on a number of medical health care and vision plans so he can better take care of his patient’s visual needs. 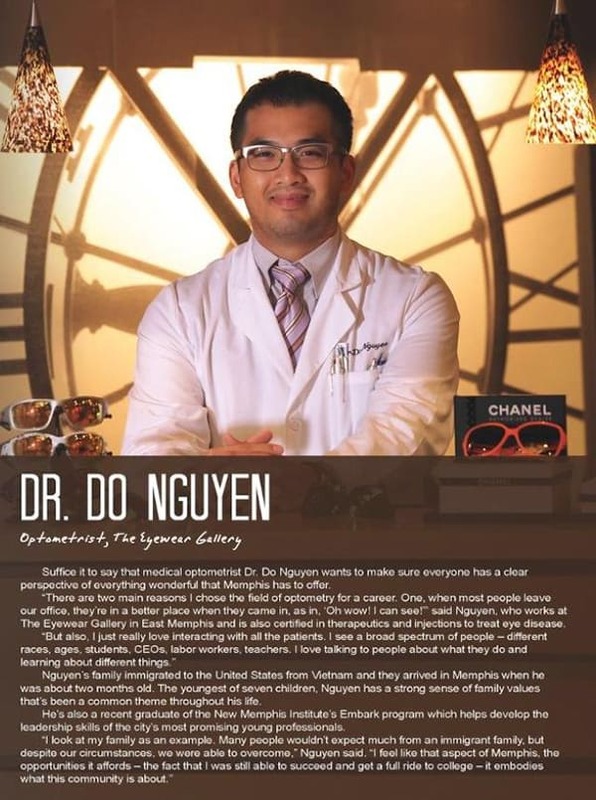 Aside from being an eye doctor, Dr. Nguyen keeps himself pretty busy. He has served at various capacities with Literacy Mid South, Grizzlies TEAM UP Mentoring for high school students, The Rotary Club, and the Brooks Museum Wine Committee. He completed New Memphis Institute’s Embark Program and is active in The Memphis Chamber. Dr. Nguyen is a member of the Ronald McDonald Red Shoe Committee, is a Facing History and Ourselves Ambassador, and serves on the Brown Alumni Selection Committee. He participated in similar community organizations during high school and in college. He is the youngest of seven children and enjoys spending time with his family. 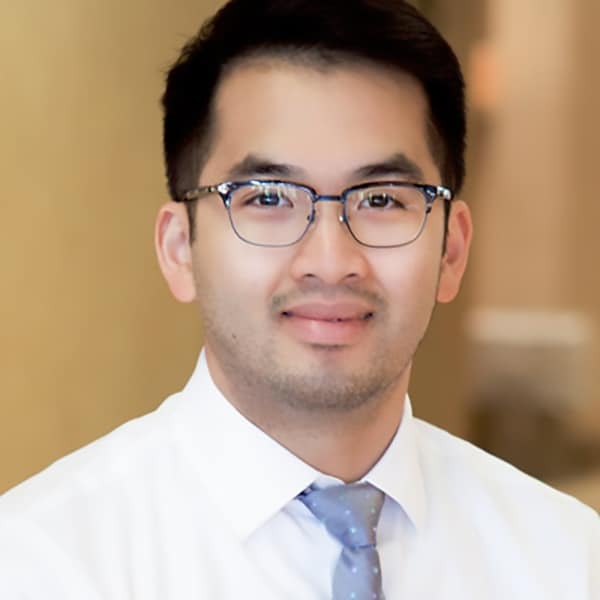 You can find Dr. Nguyen biking the Green Line, playing basketball, or around town enjoying the amazing food that Memphis has to offer on his off days. He is a huge fan of the Grizzlies, Tigers, and White Station Spartans. He has performed vision screenings for youth attending the Memphis Grizzlies basketball camps.